Jackson County Development Authority and surrounding counties receives grant to study craft beverage. 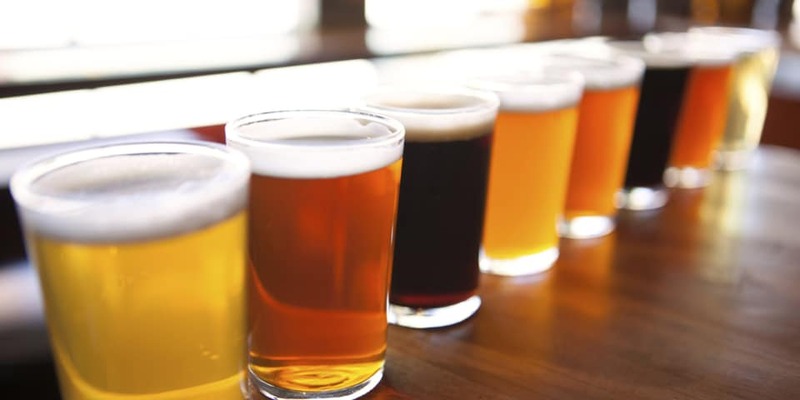 A proposed craft beer and spirit trail running through central and western West Virginia has recently been awarded an Appalachian Regional Commission grant in conjunction with Marshall University and the Robert C Byrd Institute. The $79,270 will assist in analyzing opportunities for the region. “We’re looking at everything from beer, wine and spirits” said Bill Woodrum Director of Entrepreneurship at the Robert C. Byrd Institute at Marshall University. Mark Whitley Executive Director of the Jackson County Development Authority said the grant will allow the stakeholders to conduct an economic impact study of the emerging craft beer, wine and spirit industry in the Region. Our focus is Cabell, Putnam, Kanawha, Roane and of course Jackson. Our hope is to build from the success of the Wine and Distillery Trail that the Jackson and Roane County Development Authorities has recently established. The Wine and Distillery Trail runs along Putnam, Jackson, Roane, Wirt and Wood Counties said Whitley. The state’s craft brewers is one of the fastest growing manufacturing sector in the state said Whitley. There are at least 48 beer and spirits operations in West Virginia according to Brewers Association, a national trade group, this is more than double the number in 2014. They have had an economic impact in West Virginia of more than $309 million dollars. We have 10 emerging and successful producers that we work with in the Wine and Distillery Trail alone. We are also working with several new micro brewers in the region as well said Whitley. Whitley said that the potential for growth in this industry is very strong and generates many visitors to Jackson County. “Appalachian Distillery has had visitors from every state and many foreign country’s including Japan, Germany, Russia, Italy, Spain and Korea. Many of our wineries have had similar visitors. It can simulate other economic development opportunities when you consider how this industry is related to tourism, agriculture and the farm to table movement that has gained much popularity recently” said Whitley. The feasibility study is intended to provide community leaders with a roadmap to develop a trail program and garner investment for appropriately designed and scaled businesses in the region said Woodrum. Once the final report is completed, we will have an inventory of assets and it will provide guidance to us on how to move forward to grow this industry and related tourism in the future said Woodrum. The study will take approximately 6 months to complete.